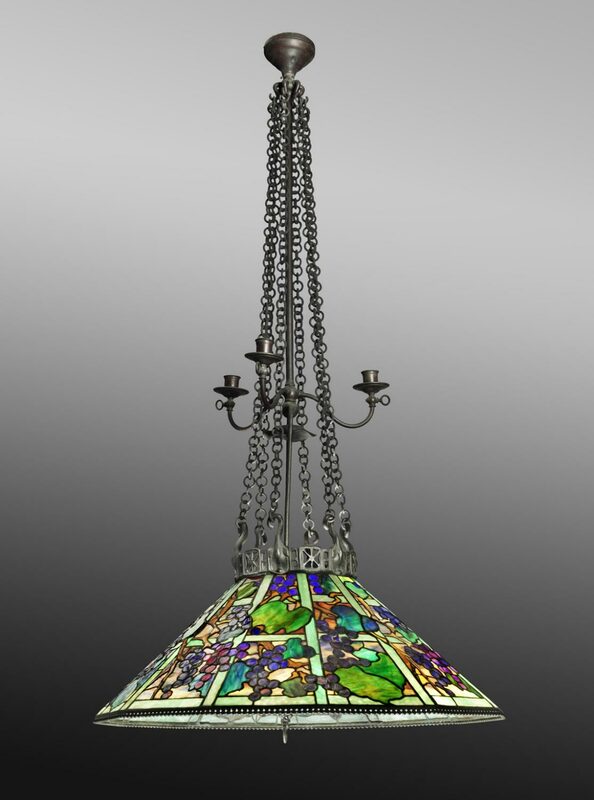 This chandelier was purchased in about 1905 from Tiffany Studios by Guy Kent Fullagar—the treasurer for the company’s board of directors—for his summer home in Dunkirk, New York. 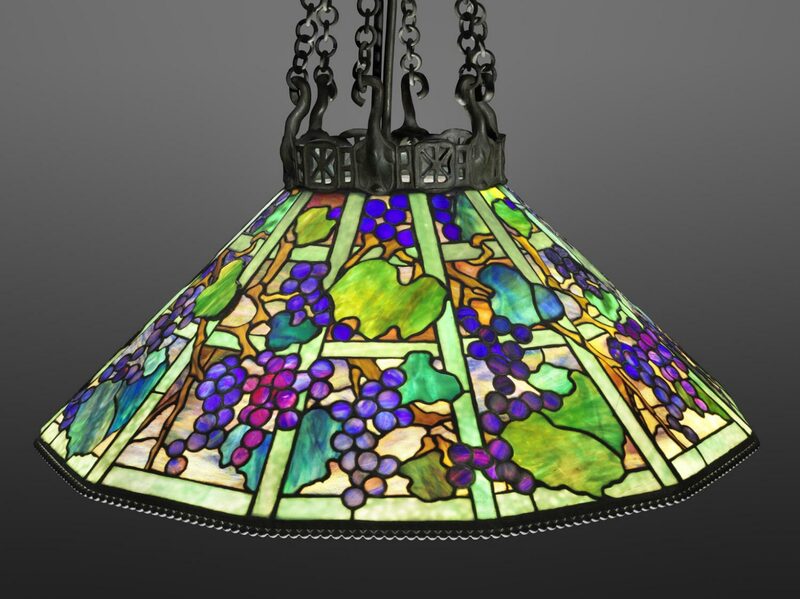 The grape trellis pattern probably was created by Clara Driscoll, the company’s principal designer of leaded-glass shades. Following Louis Comfort Tiffany’s dictum “Nature is always beautiful,” Driscoll’s compositions featured dramatic juxtapositions of plant forms against contrasting backgrounds. She chose different colors and textures of glass to create the brilliant greens, reds, blues, and purples of the foliage and ripe fruit, set off against a lightwood trellis mottled by the oranges and yellows of a late afternoon summer sky.